Cynthia Nalley is a longtime Downtown West Palm Beach resident and advocate. She served on the Downtown Neighborhood Association Board for many years and has led efforts to create a sense of community through events and service. Cynthia also works in Downtown West Palm Beach as a Broker Associate with Anderson & Carr, a leading provider of commercial and residential real estate services since 1947. 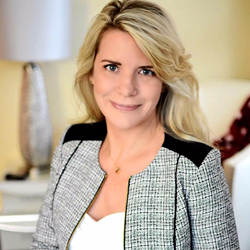 Prior to her real estate career, Cynthia created technology systems and managed complex projects for Citibank, JP Morgan Chase, and GenSpring Family Offices, an affiliate of SunTrust Banks. She is a Senior Professional in Human Resources and specializes in organizational development and performance management. Cynthia’s favorite Downtown spots are the Mandel Library (great independent movie selection and free yoga!) and the Municipal Docks at sunset. She is very grateful to support West Palm Beach as it grows into a world class city while retaining its rich history and sense of place.